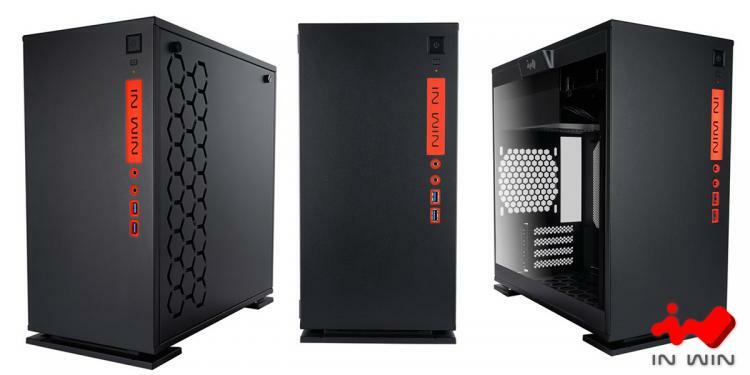 In Win launches a mATX version of the highly-acclaimed 303 chassis featuring the same performance-oriented layout and modern style having the tempered glass side panel – the In Win 301 mATX desktop chassis. It has the tool-free tempered glass panel that showcases the interior in a very modern and classy way. On the opposite side lies intricately cut hexagonal ventilation holes for exhaust. 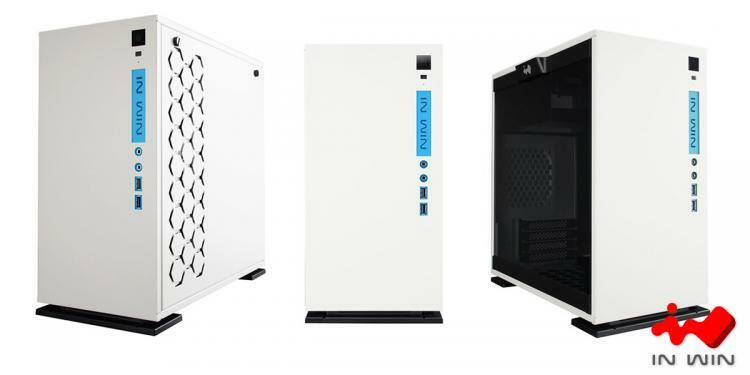 The front of the In Win 301 has a two-tone colour design giving it a fresh and stylish look, an eye-catching desktop chassis that will fit any gaming or home environment. Watch the product overview video of the In Win 301 mini PC chassis below. The In Win 301 chassis uses 1.2mm SECC steel that gives it a very solid structure that gives it great stability and shock resistance. 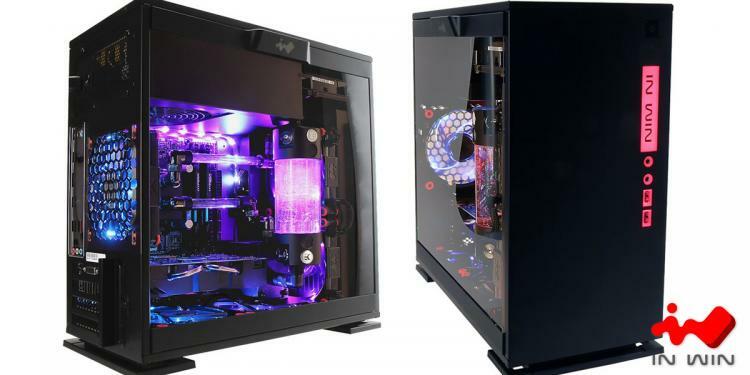 The interior offers great flexibility in terms of hardware options with its detachable cable management options, mini-ITX mounting support, graphics card supporting brackets and other features. All of these feature help create a clean and clutter-free interior setup that would be pleasing to view through the tempered glass side panel. In Win added a lot of meticulous detailing to the 301 chassis to make it standout and eye-catching such as the hexagonal ventilation cut holes, the user-friendly and tool-free thumbscrew on the tempered glass panel, the removable push tabs on the cable routing holes, quick removable dust filters at the bottom of the chassis and other details that certainly make the In Win 301 aesthetically appealing. Even with its reduced size to accommodate up to a mATX motherboard form factor, the In Win 301 supports up to 240mm radiators in the front and a 120mm radiator at the rear. There are also two 120mm fan mounts at the bottom of the chassis to further boost positive air flow if desired. Internal Drive Bays: 1 x 3.5"/2.5 / 2 x 2.5"
Product Dimension (H x W x D): 365mm x 188mm x 370m / 14.3" x 7.4" x 14.6"
The In Win 301 chassis is available in black and white colours. 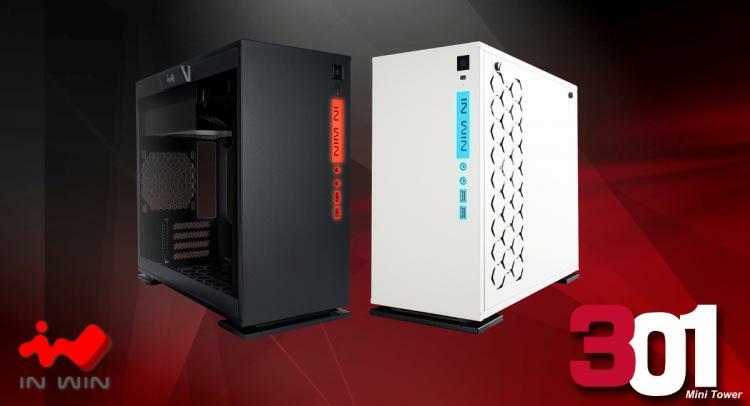 For more information on the new In Win 301 mini PC chassis, visit the In Win website.